SEOUL, South Korea — The Army was investigating the deaths of two South Korea-based soldiers, including one found unresponsive in his barracks and the other while on leave in Nebraska. Both joined the service less than a year ago. Pvt. 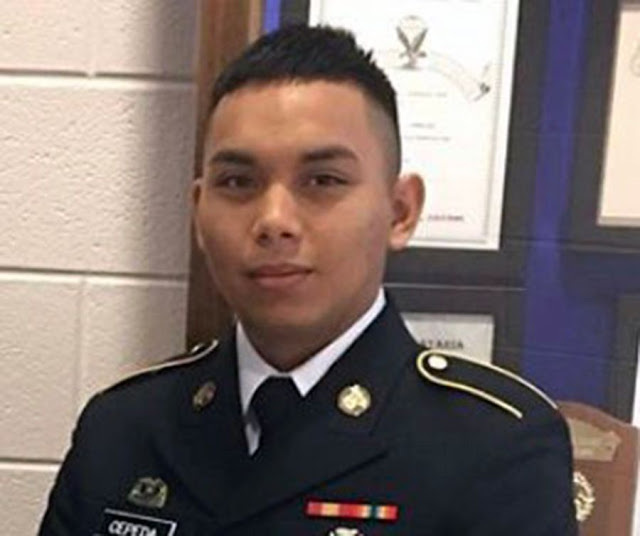 Claytun N. Cepeda, a 19-year-old Guam native, was pronounced dead Sunday after he was found in his room at Camp Humphreys, the Army said. It added that the circumstances surrounding his death were under investigation. Cepeda, a water purification specialist, joined the Army in June 2018 at Pearl Harbor, Hawaii, and was assigned to A Company, 602nd Aviation Support Battalion, 2nd Aviation Regiment, 2nd Infantry Division, according to a press release. Separately, the Army said a soldier stationed at Camp Henry, South Korea, was found dead Feb. 5 while on leave in Valley, Neb. The cause was under investigation. Pvt. Aaron Mitchell, 21, was a mortuary affairs specialist assigned to the 498th Combat Sustainment Support Battalion, U.S. Army Materiel Support Command Korea, 19th Expeditionary Sustainment Command. An Army helicopter repairman died Monday of injuries he sustained a week earlier at his home at Fort Wainwright, Alaska, the Army said. Sgt. Brian Peter Sawyer, 33, assigned to the 1st Battalion, 52nd Aviation Regiment at Wainwright, died at Madigan Army Medical Center, Joint Base Lewis-McChord, Wash., where he had been transferred because of the severity of his injuries, the Army said in a statement Tuesday. He was injured at his on-base residence on Feb. 3 and initially treated at Bassett Army Community Hospital on Fort Wainwright, the statement said.